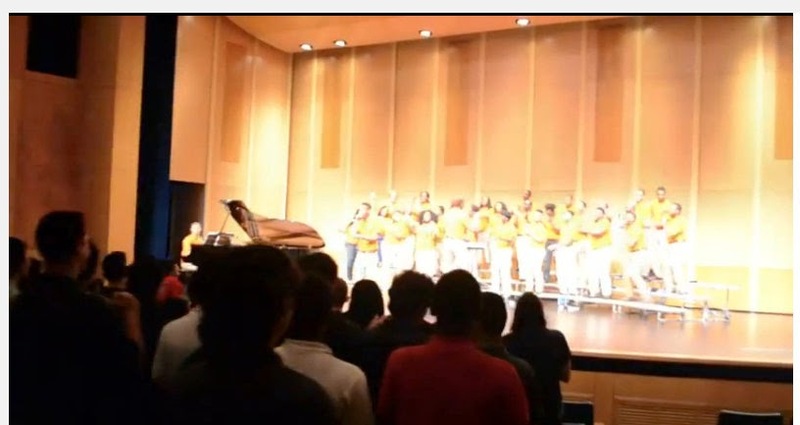 AfriClassical: Eric Conway: "Morgan State University Choir singing Pharrell Williams' 'Happy' at the American School in Muscat, Oman"
Eric Conway: "Morgan State University Choir singing Pharrell Williams' 'Happy' at the American School in Muscat, Oman"
I cannot believe that I have not sent any video from our concerts to you in these posts from the Middle East. Please click on the link below from a YouTube Video of the Morgan State University Choir singing Pharrell Williams' "Happy" at the American School in Muscat, Oman. Enjoy! When I posted the previous email, I did not give everyone's permission to see video. See links below to Morgan performances with correct permissions.